The Soho Hotel has 96 individually designed bedrooms and suites and is situated on a quiet street in the heart of London's entertainment neighbourhood. It is surrounded by some of London's best restaurants and bars, vibrant cafes and most exciting theater and nightlife. The individually designed bedrooms and suites, some with private roof-top terraces. The two private screening rooms where guests can enjoy watching movies in the weekly Film Club. Central location in the heart of the West End. 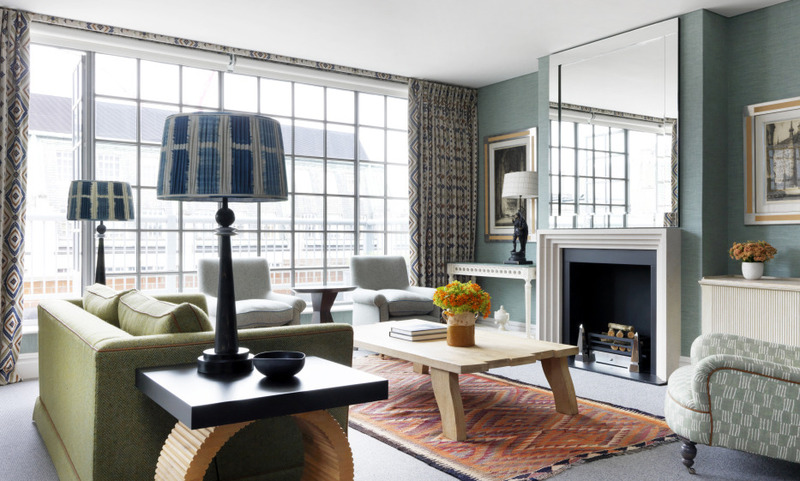 We loved this stylish and beautiful central London hotel. Will be back! One of the finest hotels I have ever stayed at. Understated luxury, impeccable service, comfortable rooms and bathroom, terrific restaurant/breakfast. Strongly recommend! One of the cleanest hotel I have ever been in. We loved it. I am an Interior designer so I pick hotels based on style and comfort. This hotel was perfect. We travel a great deal and the Soho ranks as one of our most favorite. Staff are excellent and professional and the hotel is great. Great. Very charming . Modern and at the same time not too much. One of the best hotels I have been to in London. Also very well located in the center of the city. A very nice hotel with a warm atmosphere in the restaurant. The Art Deco design is original and comfortable. Modern hotel, with a nice interior, for younger people.